They wouldn't float like balloons or give you the chance to talk in high, squeaky voices, but planets with helium skies may constitute an exotic planetary class in our Milky Way galaxy. Researchers using data from NASA's Spitzer Space Telescope propose that warm Neptune-size planets with clouds of helium may be strewn about the galaxy by the thousands. 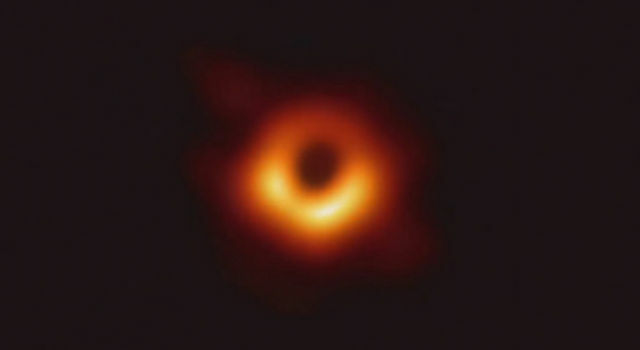 "We don't have any planets like this in our own solar system," said Renyu Hu, NASA Hubble Fellow at the agency's Jet Propulsion Laboratory in Pasadena, California, and lead author of a new study on the findings accepted for publication in the Astrophysical Journal. "But we think planets with helium atmospheres could be common around other stars." Prior to the study, astronomers had been investigating a surprising number of so-called warm Neptunes in our galaxy. NASA's Kepler space telescope has found hundreds of candidate planets that fall into this category. They are the size of Neptune or smaller, with tight orbits that are closer to their stars than our own sizzling Mercury is to our sun. These planets reach temperatures of more than 1,340 degrees Fahrenheit (1,000 Kelvin), and orbit their stars in as little as one or two days. 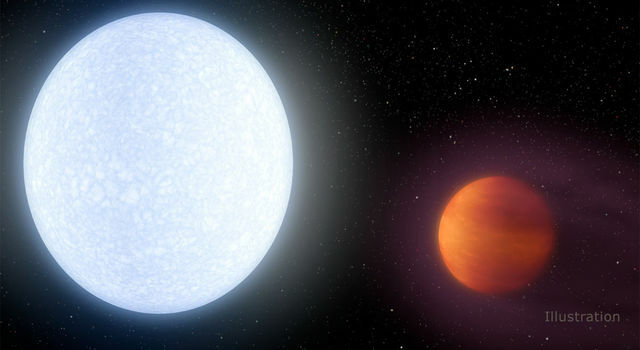 In the new study, Hu and his team make the case that some warm Neptunes -- and warm sub-Neptunes, which are smaller than Neptune -- could have atmospheres enriched with helium. They say that the close proximity of these planets to their searing stars would cause the hydrogen in their atmospheres to boil off. 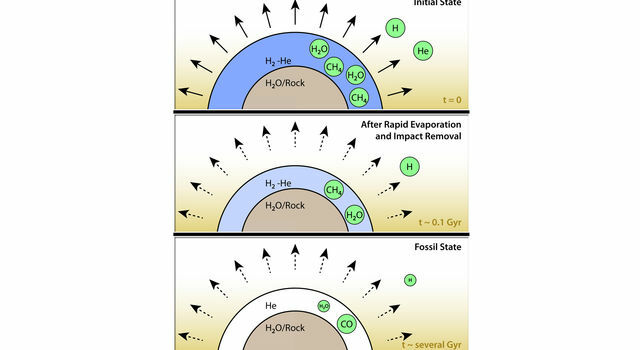 "Hydrogen is four times lighter than helium, so it would slowly disappear from the planets' atmospheres, causing them to become more concentrated with helium over time," said Hu. 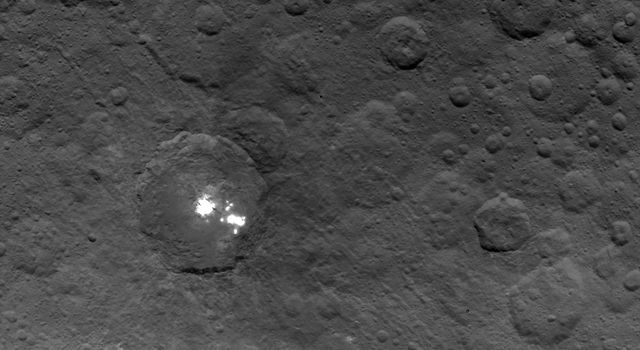 "The process would be gradual, taking up to 10 billion years to complete." For reference, our planet Earth is about 4.5 billion years old. 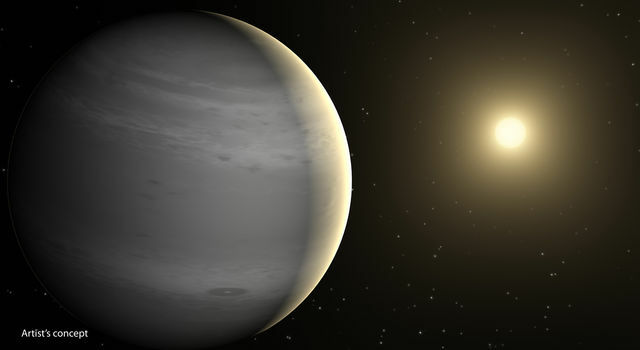 A lack of methane in one particular warm Neptune, called GJ 436b, is in fact what led Hu and his team to develop their helium planet theory. 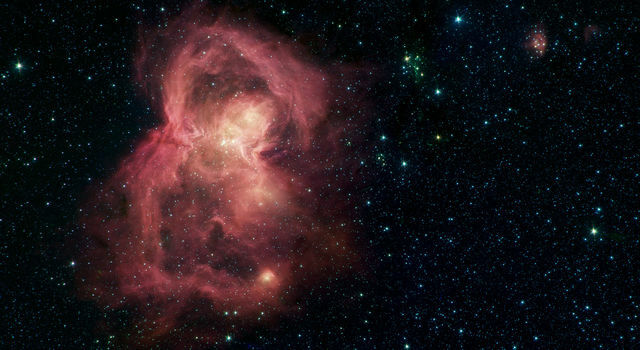 Spitzer had previously observed GJ 436b, located 33 light-years away, and found evidence for carbon but not methane. This was puzzling to scientists, because methane molecules are made of one carbon and four hydrogen atoms, and planets like this are expected to have a lot of hydrogen. Why wasn't the hydrogen linking up with carbon to produce methane? 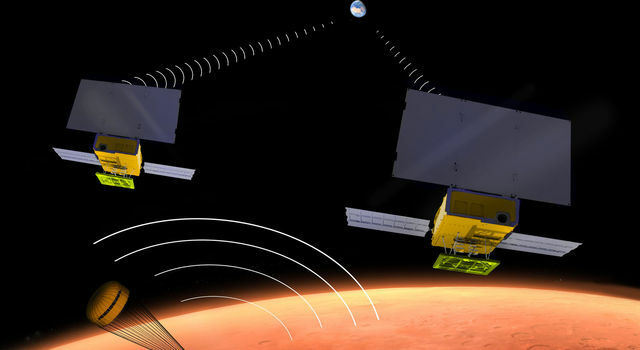 The next step to test this theory is to look at other warm Neptunes for signs of carbon monoxide and carbon dioxide, which are indicators of helium atmospheres. The team says this might be possible with the help of NASA's Hubble Space Telescope, and NASA's upcoming James Webb Space Telescope may one day directly detect that helium. "Any planet one can imagine probably exists, out there, somewhere, as long as it fits within the laws of physics and chemistry," said co-author Sara Seager of the Massachusetts Institute of Technology in Cambridge and JPL. "Planets are so incredibly diverse in their masses, sizes and orbits that we expect this to extend to exoplanet atmospheres."